Get the perfect basket stuffer now. The Turtles are pushed to their limits in the new Tales of the Teenage Mutant Ninja Turtles Super Shredder DVD collection, featuring episodes from season four and five, available March 21. 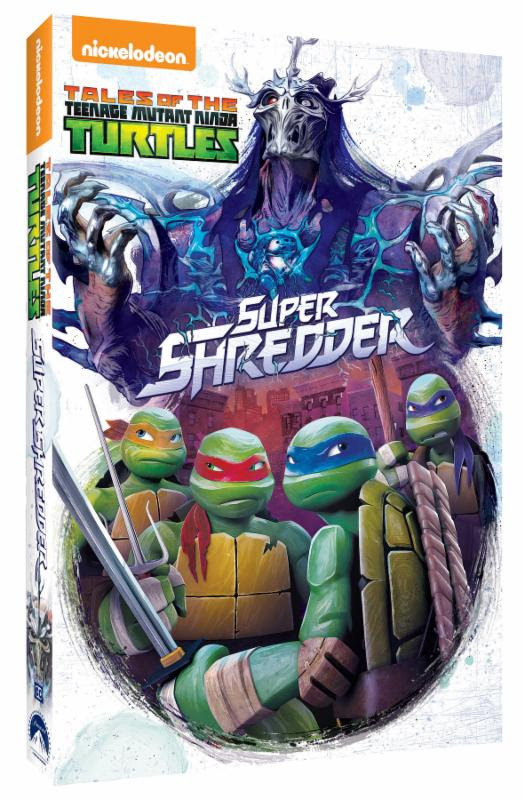 Using all of their skills, the Turtles' training is put to the test as they face their biggest enemy yet - the Super Shredder. With 11 thrilling episodes on two-discs, the Turtles prepare to battle Shredder, meet mysterious new enemies with superhuman speed, face an old enemy Don Vizioso and protect the world from Kavaxas in this new DVD collection. Join Leonardo, Raphael, Donatello, and Michelangelo, along with April and Master Splinter, as they embark on epic adventures and more to protect their planet.